Baking bread on a cold winter’s day is a good way to bring some warmth and cheer into the kitchen. Not only do we get to taste the delicious result, but the wonderful aroma fills the home and enhances the feeling of well being and coziness. This being the week before Christmas, making a fruit bread just seems like the right thing to do. With all the boys back home, sweet breads are wildly popular and may not even make it to Christmas day. 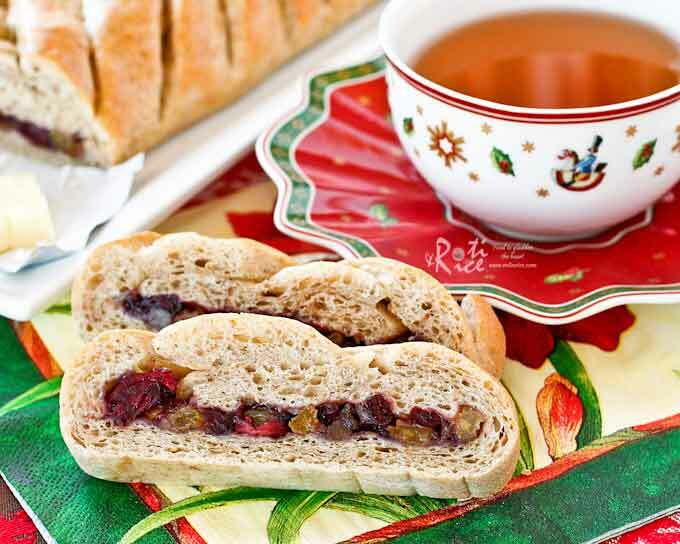 Every Christmas, I would make some sweet bread for the occasion. Listed below are some that I have made in past years. 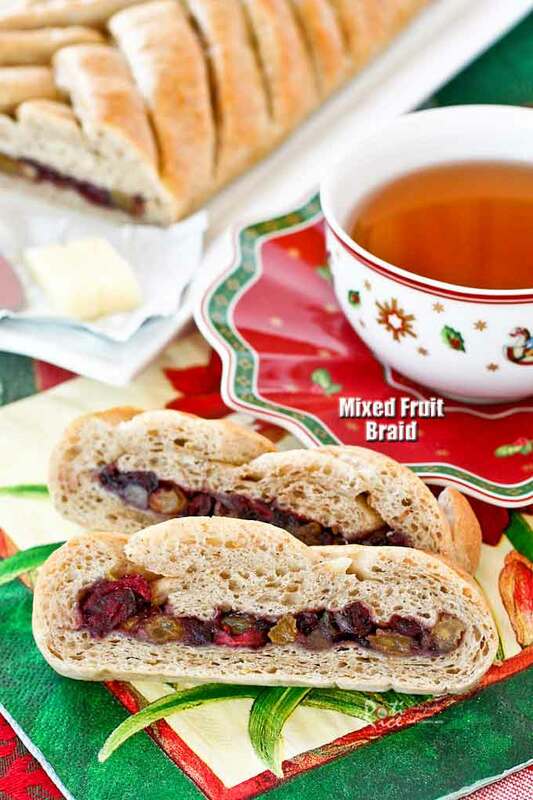 This year I have decided to make this Mixed Fruit Braid which have not made in a while. 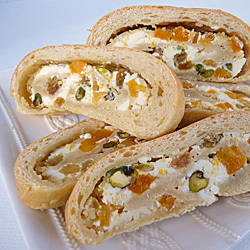 The filling may not always be the same as I use whatever dried fruits and preserves I have on hand. This time round I combined golden raisins, dried cranberries, crystallized ginger, and walnuts with blackberry jam. It turned out to be quite delicious! 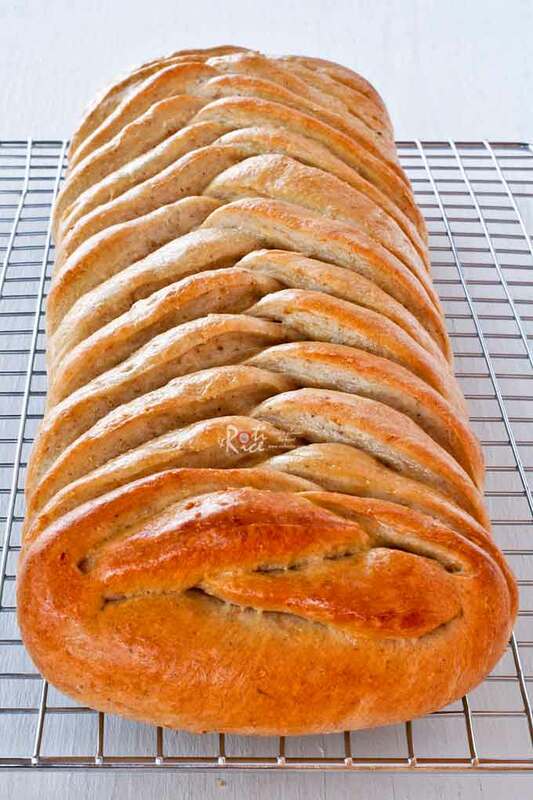 This sweet bread is delicious on its own or with some butter spread on it. 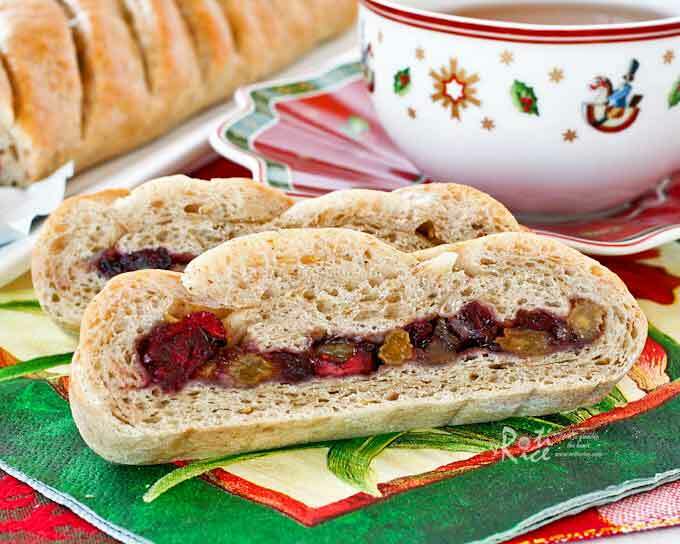 Makes a wonderful breakfast or tea time treat! Pour milk into bread machine pan. Add egg. Sprinkle flour and flaxmeal over. Add allspice, butter, salt, and sugar in separate corners of bread pan. Make a shallow indentation in the middle of flour and add yeast. Snap bread pan into bread machine and close lid. Set bread machine to dough setting. Press the start button. Mix all filling ingredients in a small bowl. Set aside. When dough cycle has completed, remove dough from machine and place it on a lightly floured surface. Punch down gently and roll into a 12-inch x 16-inch rectangle. Spread the filling mixture lengthwise over the middle third of the rolled out dough, leaving a 1 inch border on either end. Cut diagonal strips of ¾ inch thick angled towards you on either side of filling. Working from the far end, fold the end piece of dough, then braid dough strips over filling. Tuck in the end to seal. Place on a baking sheet. Cover with oiled plastic wrap and leave in a warm place to rise for approximately 45 minutes. 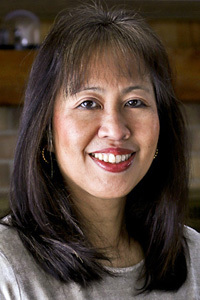 Preheat oven to 375˚F (190˚C). Brush egg wash over braid. Bake for 20 to 25 minutes or until golden brown. Remove from oven and place on a wire rack to cool. This looks so terrific, and I love the flavors. Good stuff! And Merry Christmas to you and yours. This is something I would love to bake and enjoy eating it too! Looks yum! Merry Christmas and Happy New Year to you too! Oh, delicious! Merry Christmas to you and your family, my friend! 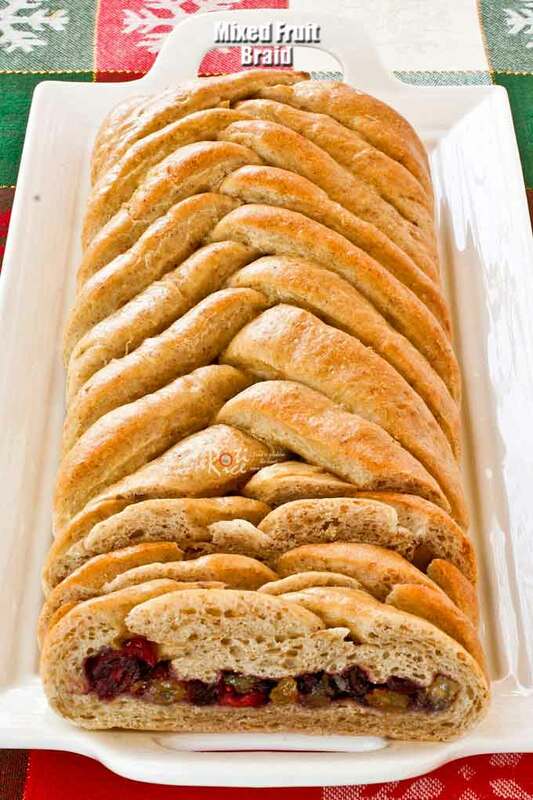 Beautiful mixed fruits braid! Hope you have a wonderful New Year ahead.